St. Louis, MO – St. Louis-based Wine Educator, Mike Ward, excitedly announced this morning the launch of his website, Wardonwine.com. Designed to help people find a wine they appreciate, pair that wine with food, and help them enjoy that wine to the fullest, Wardonwine.com was developed with the mission of ‘Pairing wine with people.’ Utilizing the website on a mobile device enables the user to search for a specific wine by grape variety, food pairing, or region, and helps them to locate the wines they love quickly and easily in a restaurant or retail store environment. Whether searching for a favorite wine, or perhaps a new one, the website’s database also provides useful information to enhance the experience, such as a customized tasting note, tips on how to enjoy the wine at its best, as well as the wine’s general price point and rating. The website is equally useful for both wine novices and full-blown oenophiles. According to Ward, “A little education can go a long way in ensuring your ultimate gratification of and appreciation for wine,” hence, the website also refers the user to local wine classes, tastings, and events. Mike began his career in the restaurant industry managing such establishments as Mike Duffy’s Pub and Grill, Remy’s Kitchen and Wine Bar and Cafe Eau and Eau Bistro in the St. Louis Chase Park Plaza. He also served as Director of Purchasing at The St. Louis Adam’s Mark Hotel, and Food and Beverage Director at The River Port Doubletree Hotel. From early on, Mike had a fascination with, and a passion for, all things wine. This fascination and passion led him to his position as Missouri State Wine Educator for Major Brands, Inc., a distributorship in St. Louis. Ward on Wine was founded in 2014 when Mike made the decision to branch out on his own. 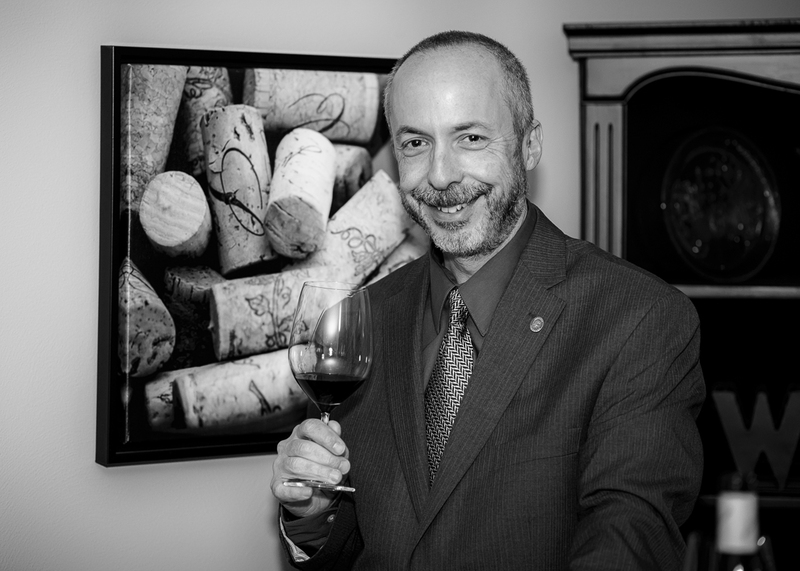 Ward is a Certified Sommelier, Certified Specialist of Spirits, Certified Wine Educator, and member of the Society of Wine Educators. He has also successfully completed the Wine and Spirits Education Trust Level 2 Intermediate exam, as well as certification at the Napa Valley Wine Educators Academy. For more information please visit: www.Wardonwine.com, and follow along on Twitter, Instagram, Facebook and Pinterest.